Data and analytics have always been the language of insurance. 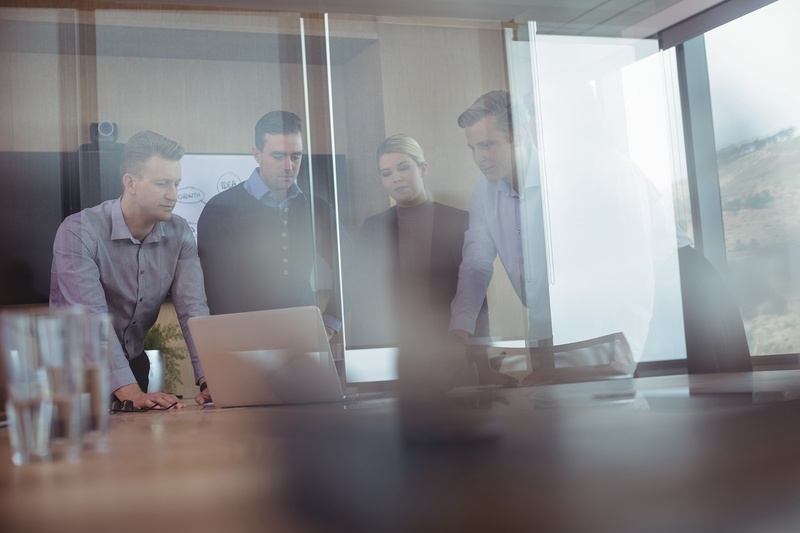 And, as data analytics fueled the growth and sophistication of the insurance and risk management industry, it also grew increasingly siloed to a subset of specialists. Ventiv Analytics™ changes the paradigm, making it more accessible for risk, insurance and claims managers to apply analytical findings to implement operational changes. Data-driven organizations consistently outperform their peers. 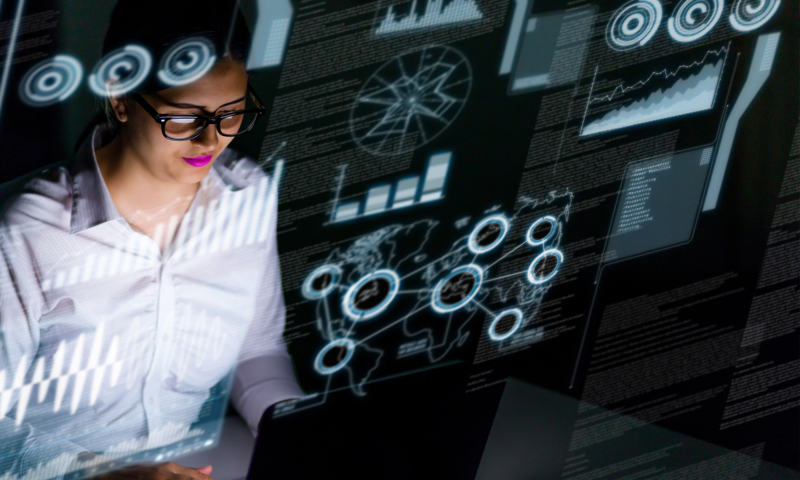 At the department level, high-performing risk and claims teams are harnessing the power of their organizations’ data as well as data from third-party sources. Now’s the time to join their ranks. Ventiv Analytics gives you the tools to work directly with your data, empowering you to find the answers you need to drive your organization forward. Ventiv’s analytics, data discovery, and reporting tools are not only the market’s most powerful—they’re also the most user-friendly. With guided data discovery, automated predictive analytics and cognitive capabilities such as natural language dialogue, you can interact with data conversationally to get answers you understand. 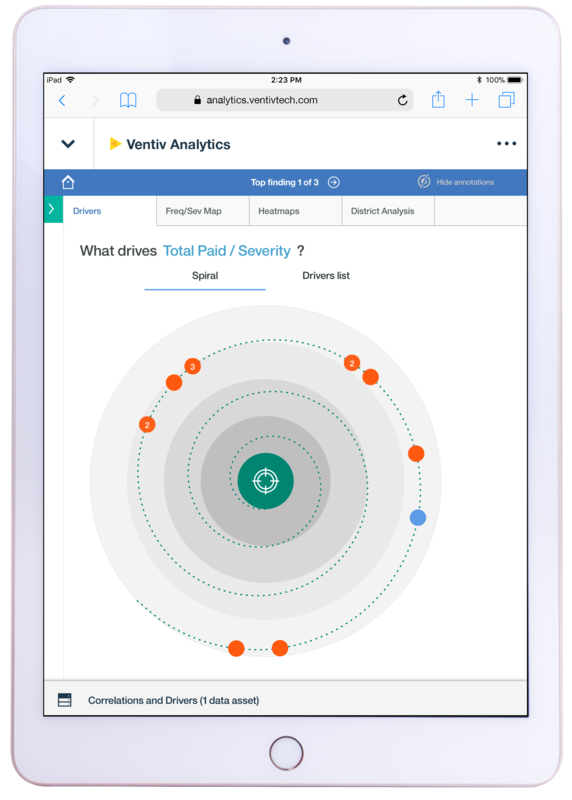 Ventiv's advanced analytics, reporting, and data-discovery tools empower users at all levels to make data-driven decisions that generate optimal outcomes like reducing claim frequency and severity. Risk and insurance managers use Ventiv’s advanced analytics solutions to help them make informed decisions on how to best quantify and treat specific risks, understand their organization’s ability to bear risk and make more effective risk management and financing decisions. Claims managers need the kind of advanced analytics tools that drive early identification of high-loss claims. 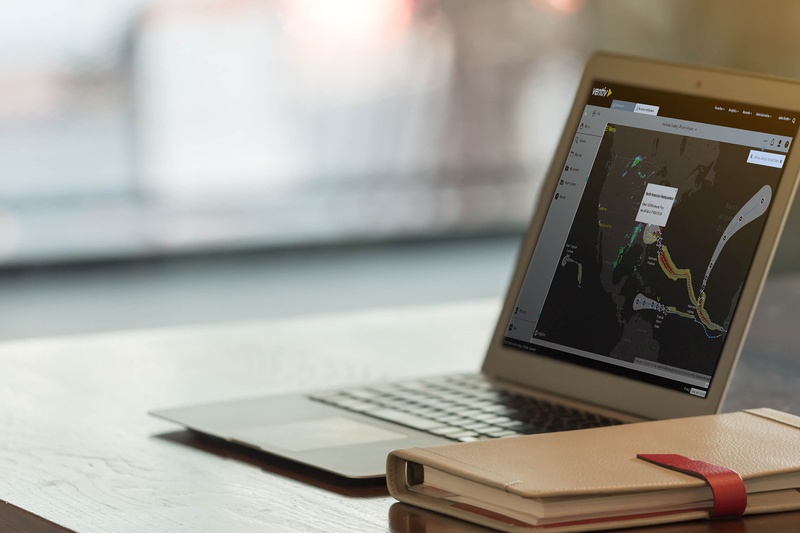 Gain maximum insight from existing claims to monitor adjuster claim handling, assess accuracy of reserves and target specific types of claim outcomes such as sleeper claims. Safety managers use advanced analytics tools to improve loss-control initiatives. Core objectives like identifying risks, enforcing compliance, and embedding best practices across the organization are all enhanced by Ventiv Analytics. Understand what's happening with your business like never before with business intelligence that’s powered by augmented intelligence. With Ventiv Analytics, business users like you become data scientists in your own right. Other systems depend on scheduled data-replication to make data available for analysis, discovery, and reporting. Not Ventiv Analytics: As soon as data is available, it is ready for analysis, discovery, and reporting. Data discovery is easy and powerful: Ask a question like you would any search engine; see the answer represented graphically; explore further with different visualizations and drill into the record for additional details. Have the insights to know what will happen before it occurs. Ventiv Analytics can help you understand, for example, the specific claim characteristics or factors that are influencing claim costs. Have the foresight to make a desired outcome happen. Ventiv Analytics can help you identify the appropriate actions to take before an adverse result occurs (for example, requiring steel-toed shoes before foot injuries occur). Spreadsheets are useful when the amount of data to be analyzed is small; however, when the volume of data increases, spreadsheets can't give a convenient way of viewing trends and obtaining a high-level overview of the data. What's more, data with a spatial dimension is, in most cases, best visualized with the use of maps. Ventiv Analytics makes it possible for organizations to add the context of timing and location to traditional data, creating maps that show changes over time and exactly where those changes are taking place. Maps make it easier for the eye to recognize patterns that were previously buried in spreadsheets, such as distance, proximity, contiguity, and affiliation. Make analytics insights more engaging. When events and trends are seen within the context of recognizable maps, they’re easier to understand—and act upon. When you’ve completed your data discovery, it’s time to share your insights. With Ventiv Analytics, you can package your findings in an easily consumable video format that shows recipients how you arrived at your conclusions and then points the way to impactful next steps. In this example, a risk manager would want to share their discoveries with a safety manager in a position to act on the information. The story is clearly that a location has a low frequency yet high severity of claims. A safety manager receiving this animated storyboard would know right away to focus their attention on this location and determine how to prevent high-dollar finger injuries caused by burns. Because analytics and reporting are delivered on a single platform, data is transformed only once, not multiple times. Recipients get report files—not links that force them to sign in to a system in which they may not be a named user. Reporting tools lets report authors create a single report and then easily designate which recipients receive which reports based on selected criteria. Ventiv Analytics makes it easy to make true apples-to-apples comparisons when doing year-over-year reporting. Typography, spacing and all elements fit together perfectly for a great aesthetic sense and feeling. Add new modules, remove or reorder entire sections, group modules, add custom classes and so many more. Carefully built in its core, it looks great on any screen size, desktop, laptop, tablet or mobile device. The first Customization Tool in the HubSpot Marketplace gets even better with this new version.